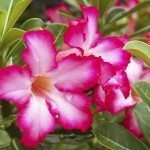 When & how do you prune a desert rose plant? Usually, you will not have to do this. 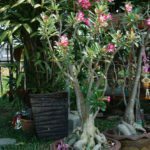 You can prune dead growth out, or prune to take cuttings, but this is not necessary for its health. I would do this during the time that it is not actively growing or after the flowers fade.